New work from this French graphic design and packaging studio for a line of soaps made in Marseilles. Each soap wrapper comes with instructions to turn it into an origami animal. Such a cute idea. Love the soaps! Very creative and lots of fun!! 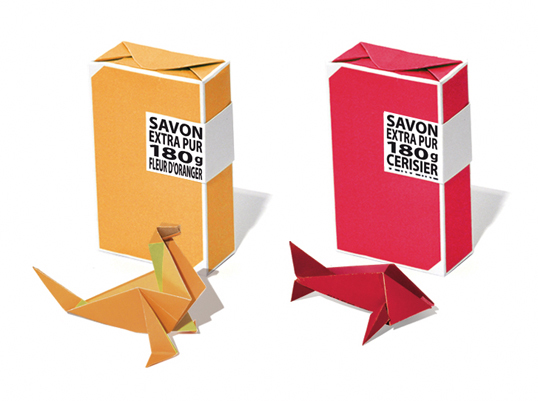 Ever tried making origami animals in the tub? moosh!